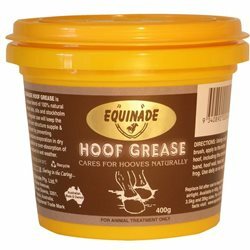 Hoof Care There are 8 products. 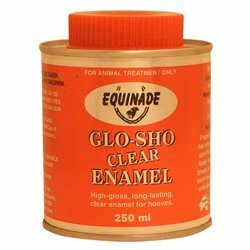 The Equinade Glo-Sho Enamel has been designed to enhance the natural appearance of your horse’s hooves. 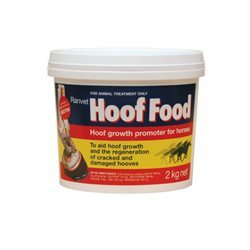 Hoof growth promoter and strengthener for horses. 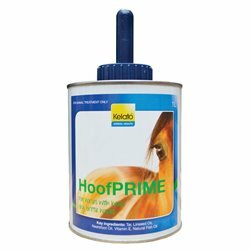 Dress and nourish your horses’ hooves at the same time with Stride Hoof Dressing from The NRG Team. 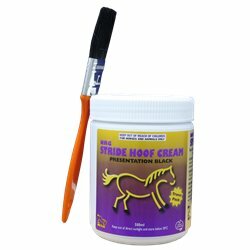 Stride is one of Australia’s favourite natural black dressing alternatives for keeping horses hooves looking good and performing soundly. 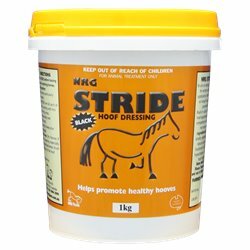 Take all the quality ingredients from the Stride Hoof Dressing recipe and package it into a more convenient, 500ml no-mess easy to use container, throw in a free brush, and you have the popular NRG Stride Hoof Cream. 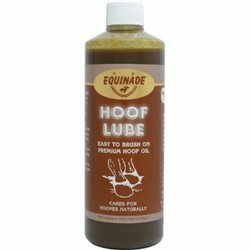 An all natural, easy brush on hoof oil to assist maintain a healthy mositure balance in the hoof. This helps to prevent chipping, cracking and contraction. Now contains Eucalyptus Oil - nature's antiseptic!